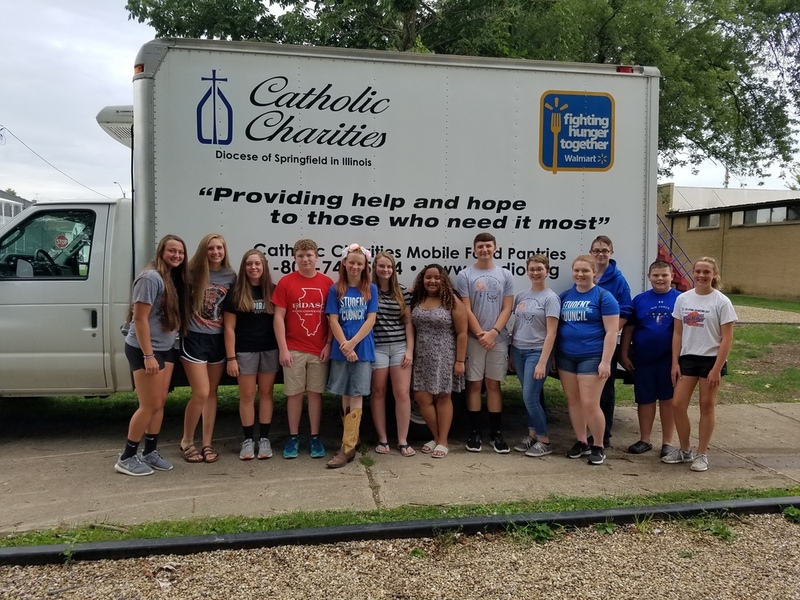 Cumberland High School students took time out of their summer break to help with the Catholic Charities Food Bank in Greenup on August 7th. Participating student groups included the high school student council, members of the softball team, and the newly formed Kindness Club. Thank you to all students who donated their time.